Tips and Advice for Photographing Historic Sites ~ The History Girl! Preserving the Doo Wop "Wildwood Days"
The History Girl Survey and Giveaway! There are many beautiful and scenic historic locations throughout New Jersey. However, gaining access to them for photographs can be a daunting and sometimes downright scary proposition. Often, historic sites are likened to dusty, old libraries; quiet, secluded, and only easily accessible for those who are "regulars." But it does not have to be that way. In fact, many museums and historic sites are photography friendly as long as you follow a few certain rules. The first rule of thumb is to be open with a site's staff and ask plenty of questions! You can be sure that the individuals who run these sites and offers tours have heard this question many times before, especially now that most people have digital cameras and smartphones with cameras. There's no reason to feel embarrassed to ask - you are not the first and will certainly not be the last! Keep in mind that no two sites are the same. Some are located in busy cities, while others may be in rural areas. The foot traffic at each site will sometimes effect the possibility of taking photos. Usually you can photograph the exterior of historic buildings without a hassle. However, keep in mind that some sites may not allow for-profit or commercial photography without advanced written permission. 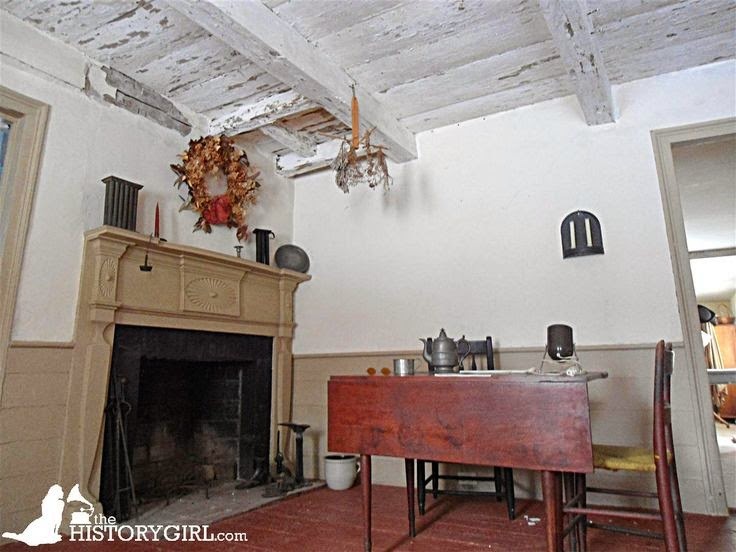 Photographing the interior of historic sites can sometimes be a challenge. Before visiting a site, be sure to do some research. If you view the official web site for the museum, it may alert you to any special rules regarding photography on-site and can sometimes clear up questions before you arrive. Feel free to also call the site before visiting, to ask for any advice on photography: such as when they are least busy, if the interior is dark or light, and rules regarding using a flash indoors. Museums and historic sites have many fragile fabrics, photos, artwork, and other artifacts that are light sensitive. Even if you are allowed to photograph these objects and rooms, you may not be allowed to use a flash. If in doubt, do not hesitate to ask. While one or two flashes will not effect the artifact, a constant barrage of flashes from visitors over the course of years can cause faster deterioration. At Morven Museum and Garden in Princeton, New Jersey for example, visitors can take photos in all but one room of the house. The furniture in a dining room is not owned by Morven but rather Princeton University. The University does not give permission to visitors to photograph the objects in this room. 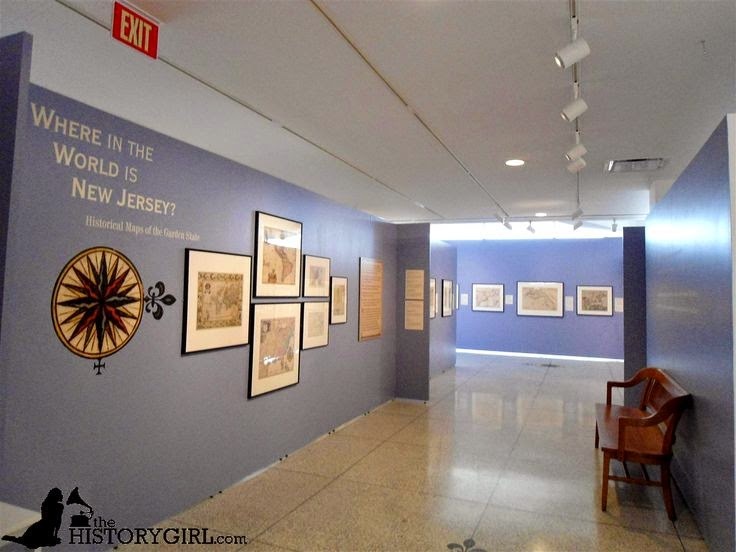 Map exhibit at the New Jersey State Museum. Another challenge to photographing the interior of historic sites is when you are being led on a tour. Sometimes these tours are timed and will include a large group of visitors. You will need to be mindful of large group tours and understand that you may not have the space or time to take the perfect photo. In some cases, you may need to sign a release form to photograph the interior. One such example is Craftsman Farms in Parsippany-Troy Hills, New Jersey. There, a simple form with your contact information and your intent for the photos must be filled out before you have access to the interior with a camera. When you visit a New Jersey State Historic Site, you have to be mindful of their rules. As a general rule, New Jersey Historic Sites do not allow interior photos at all for security reasons. At other locations, you may be allowed to take photos but need to obtain advance permission from the site's curator or administration before you can publish them online or in a book. But don't let the idea of permission hold you back from asking. If you don't ask, you'll never know and may miss that perfect shot! The History Girl at the Buccleuch Mansion, New Brunswick, New Jersey.